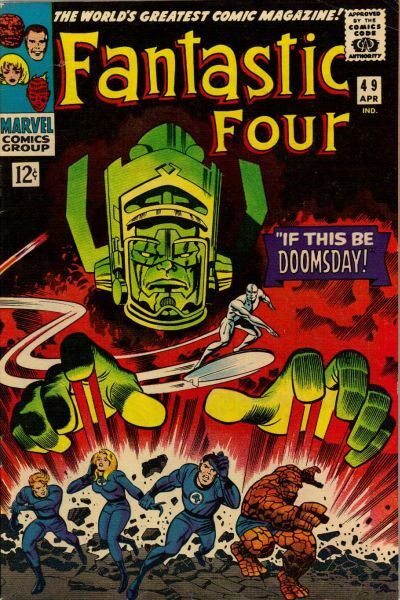 Posted February 9, 2011 in Fantastic Four, Galactus, Jack Kirby, Paul Thomas Gould, Silver Surfer. 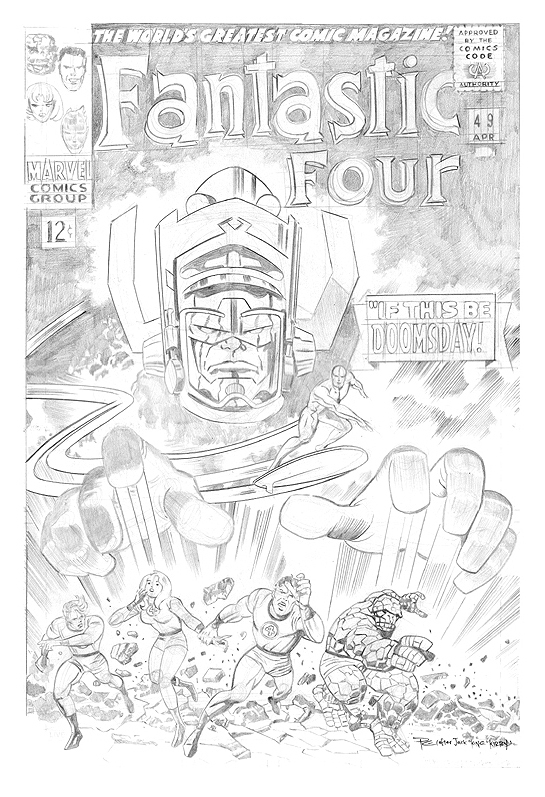 The ever popular Fantastic Four #49 re-created for a private commision by Boston based illustrator Paul Thomas Gould. Original cover, below, by Jack Kirby and Joe Sinnott.